The firm has been servicing clients in a great variety of legal aspects for the past seven years. Our mission is to render effective problem-solving, professional service at affordable fees. The firm consists of Gisela Stols (attorney and director) and four female staff members. We service a wide variety of clients such as, but not limited to collection of schoolfees, collection of body corporate levies, debt collection for various large corporate companies, divorce- and family matters, drafting of wills, commercial law including drafting of contracts, registration of companies, etcetera. 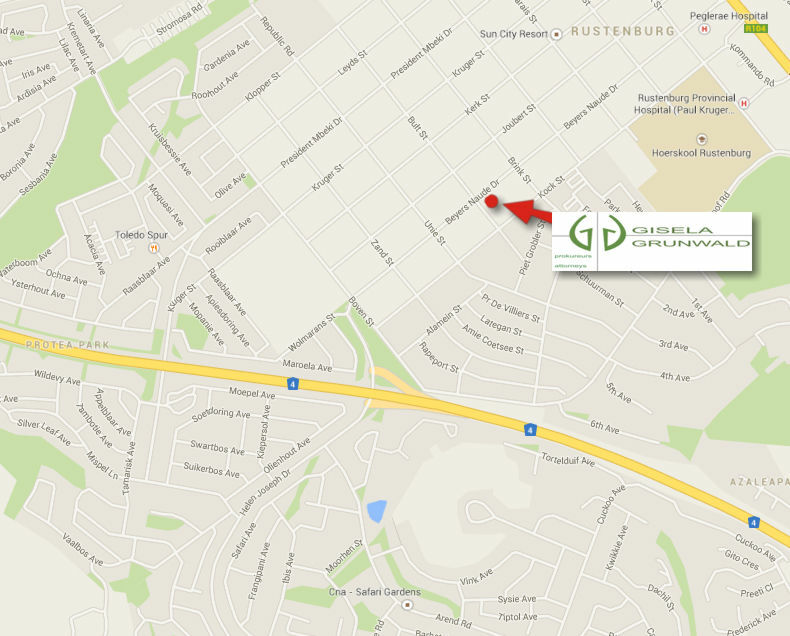 The firm of Gisela Grunwald Attorneys was established March 2011 as a sole proprietor and the founder of the firm was inspired to establish her own firm due to the need for specialised legal services in the Rustenburg and surrounding arreas. The firm service clients in a wide variety of legal aspects and strive to be known for integrity, competence, quality of work, reliability and value for money. We encourange our employees to treat their colleagues, clients and all other people with courtesy and respect. We value personal service and see our clients as important individuals with the right to personal legal assistance.